Based in Patna, Bihar, Yadav Travels is capable of making available Passport and Visa Services to our clients that are accessible at the market leading prices. 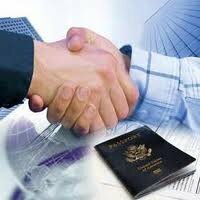 Being a client centric company, we value your promises, commitment and ensure that your passport and visa gets in your hand within the stipulated time span. We along with our team members keep you updated in advance regarding the noteworthy documents that would be required during the submission of application form for the documents. We are well aware with the repetitive process involved in the procedures for the same. We would love to assist you throughout.